As one of the largest Asian telecommunication companies, Axiata today operates in nine countries, servicing approximately 275 million subscribers. With a diverse portfolio in mobile network operations, communications infrastructure services and digital services, the Group pieces together the best in connectivity, technology and people in its vision of Advancing Asia. Axiata has controlling interests under the brand name of ‘Celcom’ in Malaysia, ‘XL’ in Indonesia, ‘Dialog’ in Sri Lanka, ‘Robi’ in Bangladesh and ‘Smart’ in Cambodia, with strategic interests in ‘Idea’ in India and ‘M1’ in Singapore. ‘edotco’, the Group’s infrastructure company, operates in five countries to deliver telecommunications infrastructure services, amassing a portfolio of over 16,000 towers and 12,000 km of fibre. It aims to be one of the top regional tower companies and is committed to responsible and sustainable business operations. 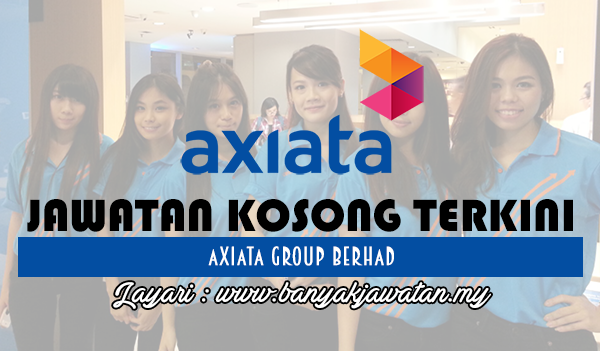 0 Response to "Jawatan Kosong di Axiata Group Berhad - 28 October 2017"